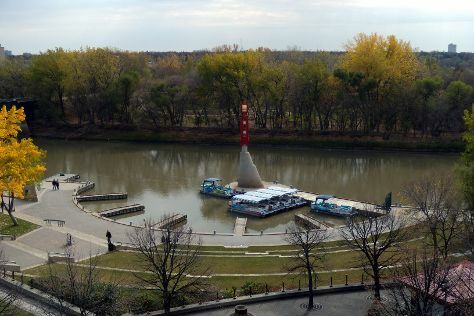 At the confluence of two rivers, Winnipeg started out as a small trading post in an area inhabited by indigenous tribes for thousands of years before the European arrival. 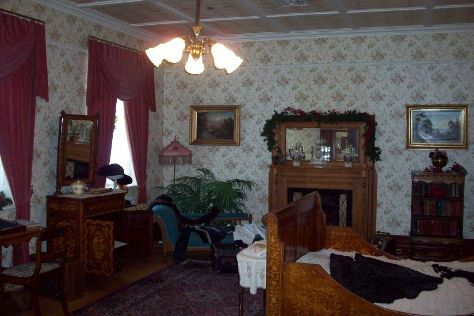 To see reviews, where to stay, photos, and more tourist information, use the Winnipeg holiday planner. Toronto to Winnipeg is an approximately 4.5-hour flight. You can also drive; or take a bus. The time zone difference when traveling from Toronto to Winnipeg is minus 1 hour. Plan for little chillier temperatures traveling from Toronto in October, with highs in Winnipeg at 13°C and lows at 3°C. Wrap up your sightseeing on the 1st (Sun) early enough to travel to Regina. Named after Queen Victoria, cultured Regina serves as a provincial capital and boasts many manicured parks, which make it a pleasant place to visit throughout the year. To find where to stay, more things to do, reviews, and more tourist information, go to the Regina itinerary maker. You can fly from Winnipeg to Regina in 3 hours. Other options are to drive; or take a bus. Expect a bit cooler evenings in Regina when traveling from Winnipeg in October, with lows around -1°C. Wrap up your sightseeing by early afternoon on the 2nd (Mon) to allow time for travel to Banff National Park. Head to Wilsons Mountain Sports and Olde Tyme Candy Shoppe Ltdfor plenty of shopping. Get some cultural insight at Cave and Basin National Historic Site and Fairmont Chateau Lake Louise. When in Banff National Park, make a side trip to see Takakkaw Falls in Yoho National Park, approximately 34 minutes away. Next up on the itinerary: explore the wealth of natural beauty at Banff National Park, explore the activities along Lake Louise, stop by Banff Indian Trading Post, and trek along Parker Ridge Trail. 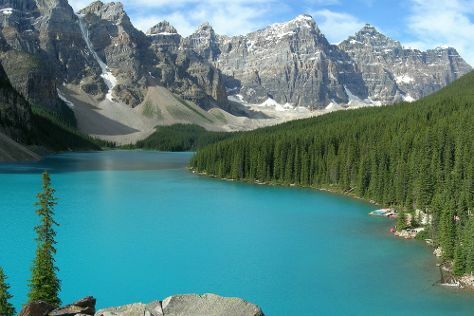 For traveler tips, maps, where to stay, and other tourist information, go to the Banff National Park trip planner. You can do a combination of flight, shuttle, and bus from Regina to Banff National Park in 6 hours. Alternatively, you can drive; or do a combination of bus, taxi, and train. The time zone changes from Central Standard Time (CST) to Mountain Standard Time (MST), which is usually a -1 hour difference. When traveling from Regina in October, plan for little chillier days and about the same nights in Banff National Park: temperatures range from 6°C by day to -2°C at night. You'll set off for Victoria on the 9th (Mon). Visiting French Beach Provincial Park and Inner Harbour will get you outdoors. Craigdarroch Castle and Victoria Butterfly Gardens are good opportunities to explore the local culture. 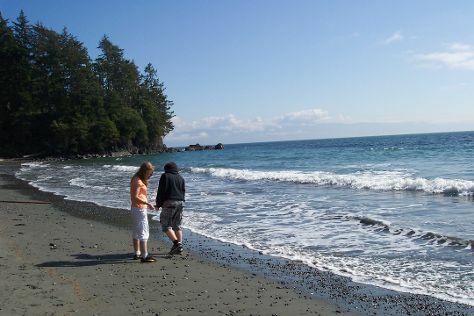 Step out of Victoria to go to Sooke and see East Sooke Regional Park, which is approximately 42 minutes away. There's much more to do: tour the pleasant surroundings at The Butchart Gardens, wander the streets of Beacon Hill Park, see the interesting displays at Royal BC Museum, and look for gifts at Russell Books. To see maps, other places to visit, ratings, and more tourist information, read our Victoria itinerary planner. You can do a combination of bus, shuttle, and flight from Banff National Park to Victoria in 8 hours. Alternatively, you can do a combination of bus and flight; or do a combination of car and ferry. Traveling from Banff National Park to Victoria, you'll gain 1 hour due to the time zone difference. While traveling from Banff National Park, expect somewhat warmer days and warmer nights in Victoria, ranging from highs of 16°C to lows of 11°C. Cap off your sightseeing on the 14th (Sat) early enough to take a combination of to Vancouver. For shopping fun, head to Granville Island or Granville Island Public Market. Satisfy your inner culture vulture at Lighthouse Park and Gastown. The adventure continues: stroll through Kitsilano Beach, enjoy the sand and surf at Wreck Beach, contemplate the waterfront views at English Bay, and take in the awesome beauty at Grouse Mountain. To find ratings, traveler tips, where to stay, and other tourist information, use the Vancouver travel planner. You can do a combination of from Victoria to Vancouver in an hour. Alternatively, you can fly; or do a combination of ferry and car. In October, plan for daily highs up to 16°C, and evening lows to 11°C. Wrap up your sightseeing on the 20th (Fri) to allow time to travel to San Antonio. The Alamo and Mission San Juan Capistrano are good opportunities to explore the local culture. Mission San Jose and San Fernando Cathedral will appeal to history buffs. Next up on the itinerary: get a taste of the local shopping with The San Antonio River Walk, take in the dramatic natural features at Natural Bridge Caverns, get into the urban bustle at Tower of the Americas, and hike along San Antonio Missions National Historical Park. For reviews, other places to visit, traveler tips, and more tourist information, read our San Antonio trip builder. Use the Route module to find suitable travel options from Vancouver to San Antonio. The time zone difference moving from Pacific Standard Time (PST) to Central Standard Time (CST) is 2 hours. Traveling from Vancouver in October, expect nights in San Antonio to be a bit warmer, around 20°C, while days are warmer, around 35°C. Finish up your sightseeing early on the 24th (Tue) so you can travel to Playa del Carmen. Get outdoors at Akumal Beach and Playa Delfines. Get some cultural insight at Ruinas Mayas de Tulum and Cobá Zona Arqueológica Cobá. 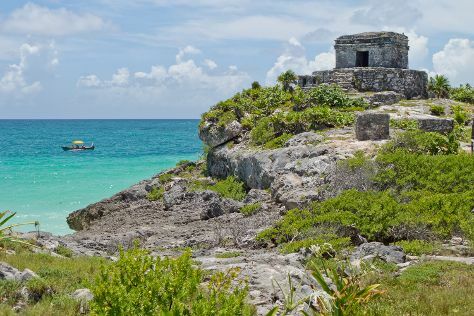 Change things up with these side-trips from Playa del Carmen: Tulum (Mayan Beach & Grand Cenote). There's lots more to do: cool off at Xcaret Eco Theme Park, admire nature's wide array of creatures at Dolphinaris Barcelo, kick back and relax at Parque Los Fundadores, and make a trip to Quinta Avenida. For ratings, where to stay, maps, and more tourist information, read Playa del Carmen travel itinerary creator. Use the Route module to find suitable travel options from San Antonio to Playa del Carmen. The time zone difference moving from Central Standard Time (CST) to Eastern Standard Time (EST) is 1 hour. Traveling from San Antonio in October, you can expect nighttime temperatures to be a bit warmer in Playa del Carmen, with lows of 24°C. On the 30th (Mon), wrap the sightseeing up by early afternoon so you can travel back home.